You can't do it wrong. Will you grown in your requests? Will your requests begin to take on a bigger purpose as you mature in your knowledge of God? They most certainly will. We progress from being a prayer novice to a prayer expert and we do not despise the small beginning. We embrace it! Which of these two scenarios moves you to pray? God may say yes, but he may say no or wait or maybe. We really don't know. The man and woman who has on the Breastplate of Righteousness knows that God says yes every time. When we bring something to the Lord, He goes to work on it right away. In fact, We have evidence that He works on our prayer requests before we even ask. Please, take a quick read of, Prerequisites: Building Fortitude, for insight on what the Lord is doing when we pray. Prayer was not your idea. It is God's idea. He was the one who said bring everything to Him. So why do we feel silly making any request. It's on Him to make good! So let Him. Another great way to understand righteousness is in the distinction of how we became righteous and how we walk in it. We are made righteous by the work of Jesus on the cross, and in His death, burial and resurrection. 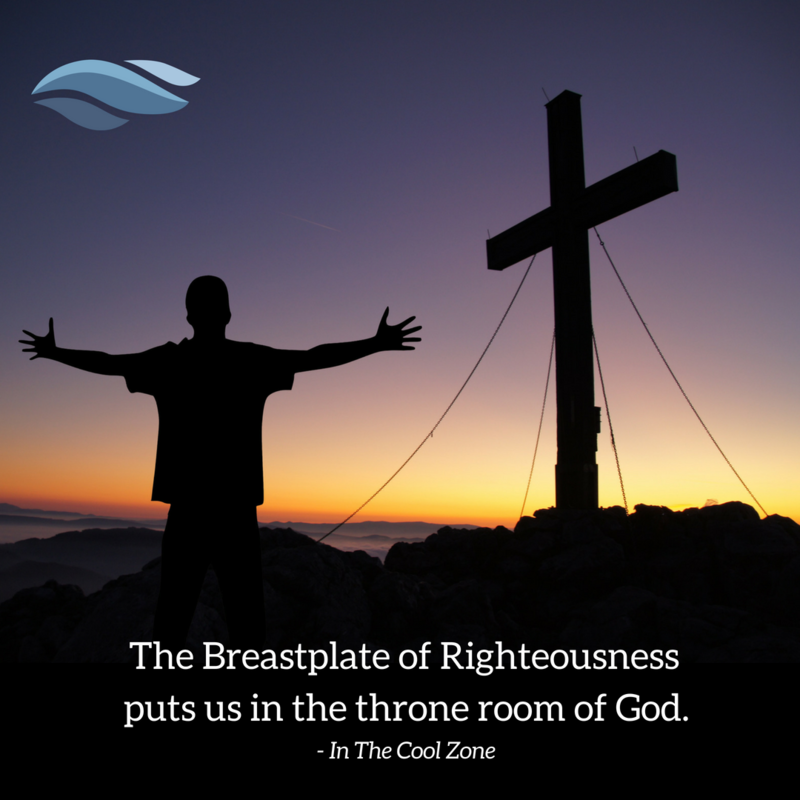 The walk of righteousness is exemplified in how we participate in the process of recovering from our sin. So, what happens when we sin? The answer is, we remain justified in the sight of our Father but ineffective in our walk. The difference between being given the status of "Righteous," is a separate work from "walking in righteousness." Our status is justification. Our walk is sanctification. Sanctification is where we grow and become Christ-like so we can be a full expression of who we were designed to be. Take a quick read of, The Path of Repentance, for a clear understanding of sanctification. If you are born again, you are made that way. Any confusion comes in the distinction between our status in the sight of God and our walk. Our understanding of this is the armor! Our standing with God has been grossly understated. Let's let go of the thought that our requests are too insignificant. Scientists can't explain how a cell divides. Some think that God has to participate in every cell division for it to happen. Well if God is active in every cell division on the planet, He is certainly standing by to hear our prayers. We've been stuck with a misunderstanding of the scriptures that instruct us to ask according to the will of God and asking "amiss." It has thrown a wet blanket on our rights and responsibilities that come with the Breastplate of Righteousness. The teaching here has our prayer life in shackles! It is true we must ask according to God's will and we can ask amiss. However, the common teaching of these things is horribly out of context. The out of context teaching implies our guilt for asking for anything and leaves us apprehensive to call out to God. The problem here isn't our wrong requests. It's a misunderstanding of how God works when we pray. The desires of our heart are not sequestered to our needs. We are to see our needs as already anticipated by the Lord. True! So, why pray about them? We can't ask for fun things because our intentions are assumed to always be lustful. It then follows that, if we can't ask for our needs and we are shunned from asking for the desires of our heart, we essentially are left with nothing to ask for, and have a dead prayer life. This is silly! Yet, it has become the underlying implication, creating confusion in the church. The over emphasis of the Faith movement and then a corresponding over emphasis from the "Faith Correction" movement has us all stumped. An out of context teaching that is widely accepted causes many to become ineffective in their understanding and in their walk. ... and with that, add an understanding of what God is doing when we make our requests. What we will find is that as we mature in our faith, our requests will become more wise and with a higher purpose. In the mean while it's ok to ask for the jetski, the car, the job, etc. There is no sin in asking for these things! Take a quick read of, Prerequisites: Building Fortitude, to understand this process more clearly and you'll see what I mean. There is a reason we are to bring ALL of our requests to our Father.